The special atmosphere of our studio is created by its many skylights and its axial composition with pillars on each side and a variable sitting tribune in the middle. The open space, about 250 square metres large, is perfect for rehearsals, performances, workshops, symposia and events of all kinds. The studio is equipped with a high quality dance floor, a professional hi-fi system, a kitchen and retreat-area, separate changing rooms and sanitary facilities with showers. Mats, cushions and seating are available on request. 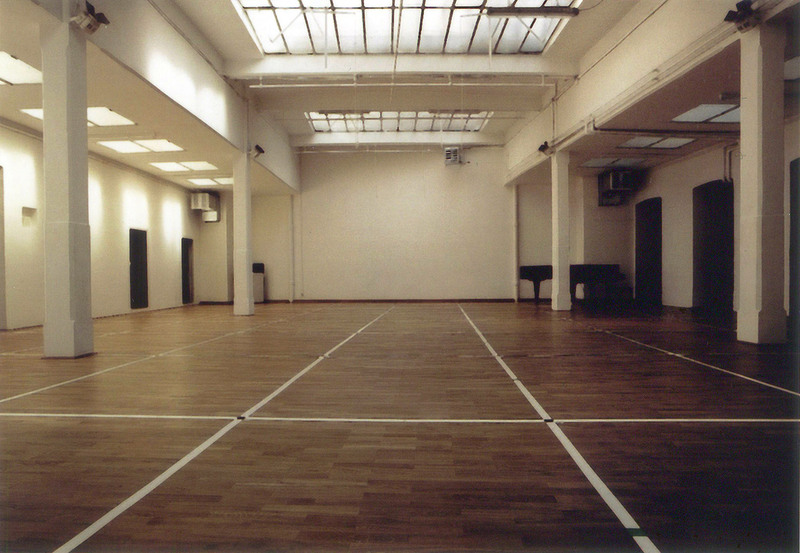 For further information please contact us under office@tanzatelierwien.at or 0043-1-5226044.